If you remember Google launched a app called Google Goggles, which is basically dead since 2014 with no updates for three years. 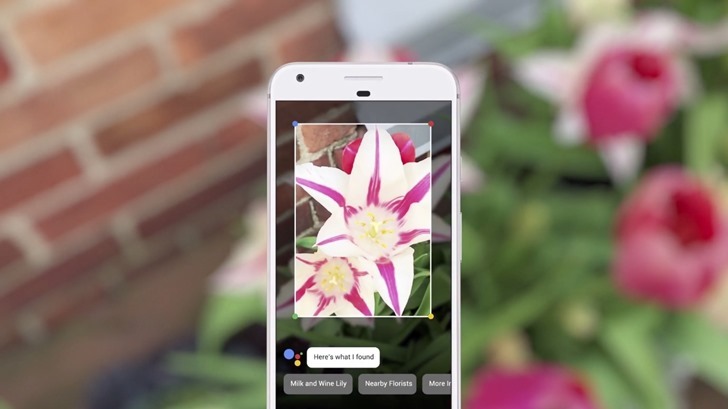 Today, Google launched a worthy successor to the idea in the form of Google Lens. Just announced at I/O, the new system will provide contextual information about things visually, like flowers you take pictures of, or text you point your phone at. This is huge. Everyone liked Google Goggles and it would be a shame if they didn't do anything to it. The new tool is basically an Assistant camera that can pull whatever relevant information applies to a given context you apply it to. Google showed off pulling info from a router just via your camera. That's going to save every visitor to Grandma's a ton of time, as it can automatically enter that information. You can also check out info on local business info via knowledge graph, pull contact info from business cards, translate text from other languages, pull event information, the applications are basically endless. Most of this stuff already existed, but now it's all in one place, and interacting with other Google services for easy data entry. This will all be a part of the Assistant in the future, so nothing extra needed to take advantage of this when it hits.